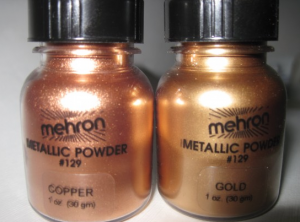 Mehron metallic powder make-up: Metallic powder make-up that can be used dry as an accent make-up or used with the Mixing Liquid to make a liquid body and face make-up. Gorgeous effect! Perfect for statues, the Tin Man, an Oscar party! 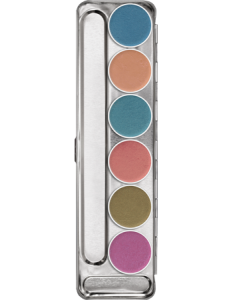 This ultra fine Metallic Powder Makeup enables you to create dramatic makeup designs and effects. 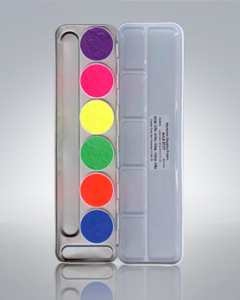 The soft Metallic Powder Makeup made by Mehron, Leaders in Theatrical Makeup since 1927, is finely crafted and evenly blended to provide you with the best available accenting powder on the market. SKU: 129. Categories: Makeup, Mehron Make-up. 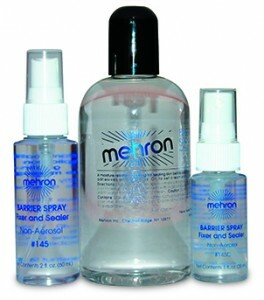 Tags: Mehron, metallic body make[-up, metallic make-up, metallic powder. 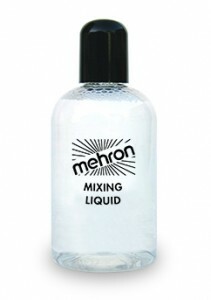 Mehron Metallic powder make-up that can be used dry as an accent make-up or used with the Mixing Liquid to make a liquid body and face make-up. Be the first to review “Mehron metallic powder make-up” Click here to cancel reply.